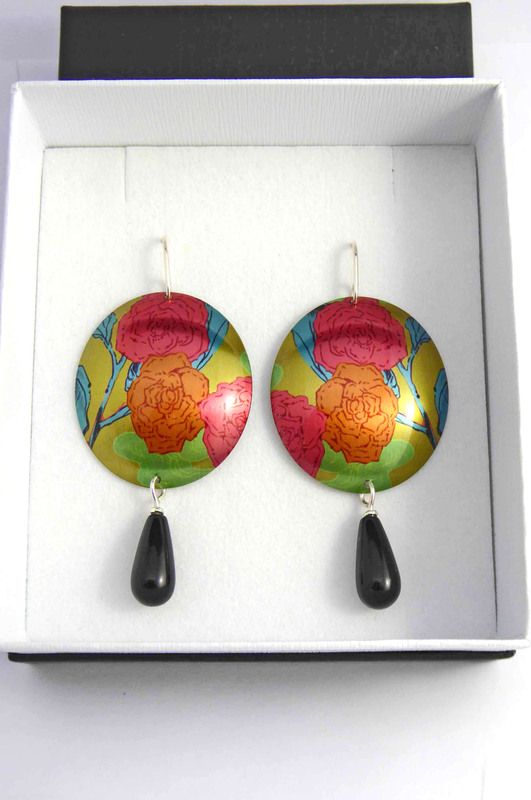 These beautiful domed earrings are made from Sublimated Aluminium, Sterling Silver and Onyx. The colours of the artwork are amazing and need to be seen in person to really appreciate. 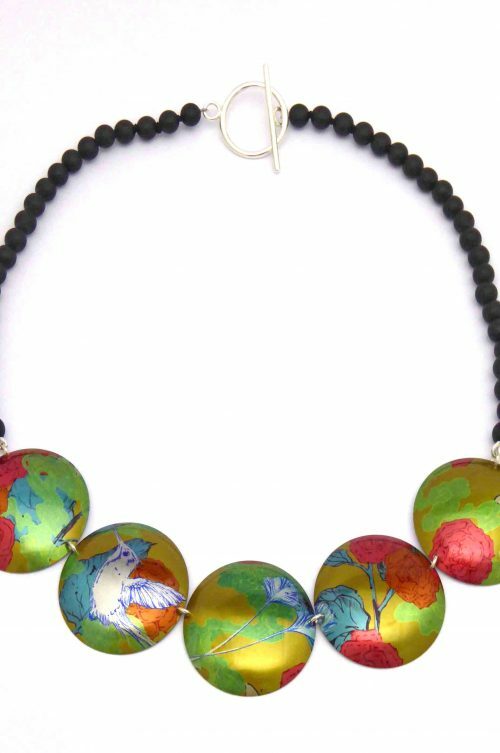 The metallic sheen of the Aluminium illuminates the detailed illustration. 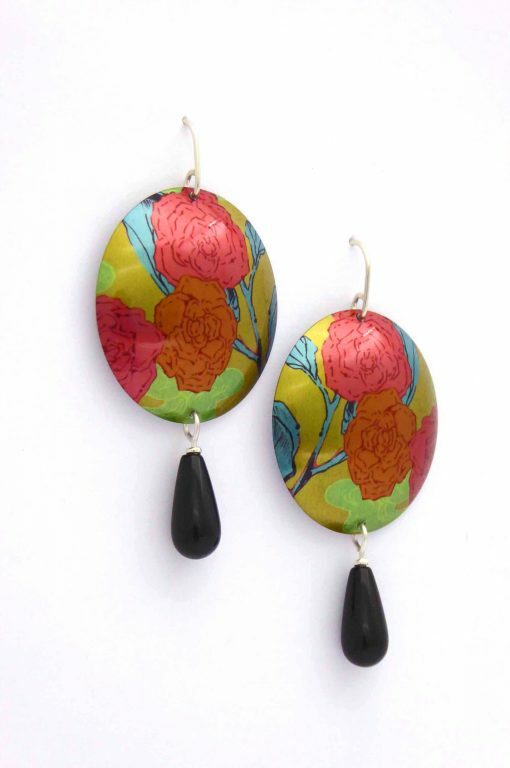 The artwork features Orange and Pink Roses in bloom, the domed disc creates depth and the Onyx drop takes these earrings to another level. 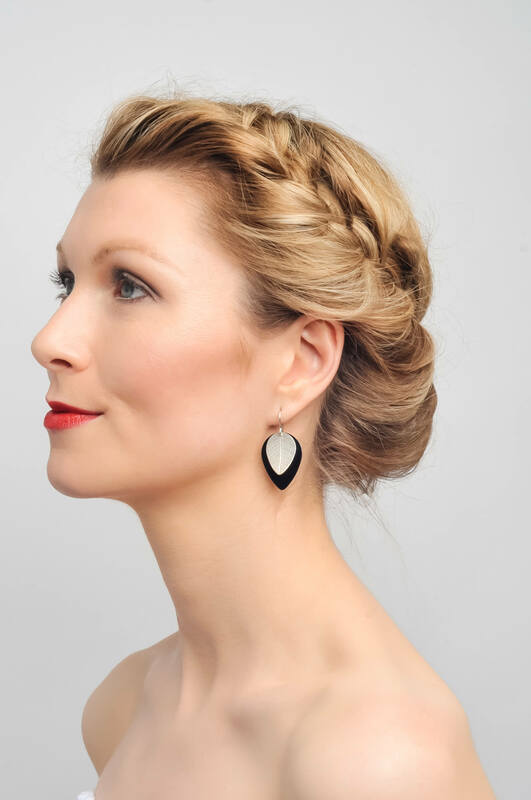 Perfect party season earrings! 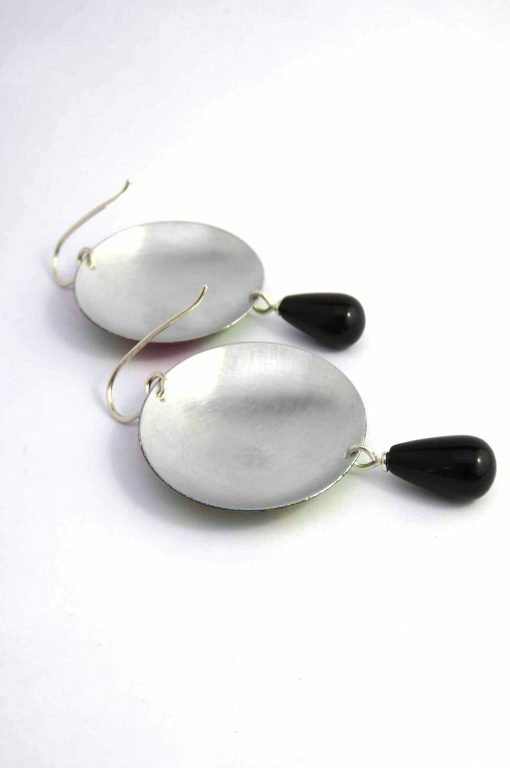 Handmade Sterling Silver hooks and Onyx bead detail.